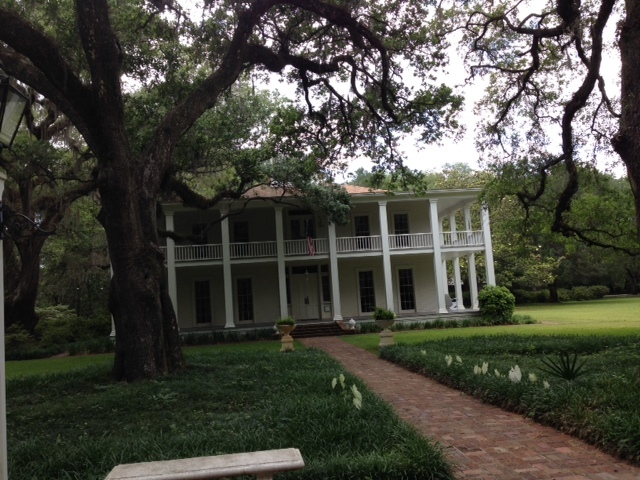 Of the three parks we visited, the only one I caught fish in was Eden Gardens, which is the one I had the least faith in when arriving….. Eden Gardens is a beautiful restored house called the Wesley House, with lush gardens surrounding it. You have to walk about a quarter mile to get to a small bay off Tucker Bayou. The park is located off CR 395 in Santa Rosa beach Fl. I walked down to the dock on the small bay and immediately saw some fish busting just out of my reach. I casted the Yozuri L Minnow as far as I could, and on the second cast, I had a strike. 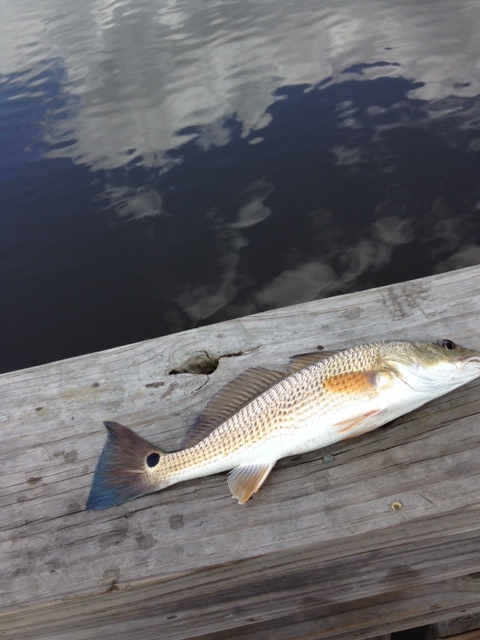 It was a small redfish, but even these small ones fight good on spinning tackle. A few more cast and I hooked a trout, and right after I released him, I hooked into a catfish. What a flurry! 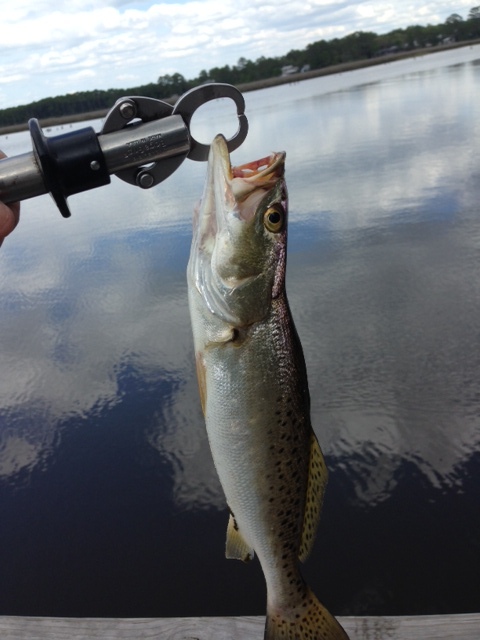 I had an older couple walk over and talk to me about the fish I was catching, and sure enough after they left, not another bite…… Oh well, it was fun while it lasted. 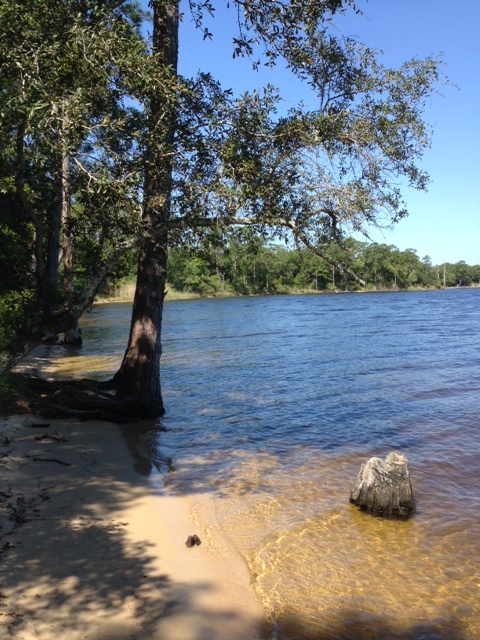 At Rocky Bayou, located near Niceville Fl, has a decent beach to fish from after you go down the steps to the water. You actually need to wade out on the hard sand bottom to fish, but it is shallow on near the bank and then drops off nicely. I had one strike, but never did see what it was, but after about an hour and a half of fishing, I decided to get some lunch at one of the picnic tables that are scattered around the park. The park also has a boat ramp, and it appears it gets little use if you decide to check it out with your boat. 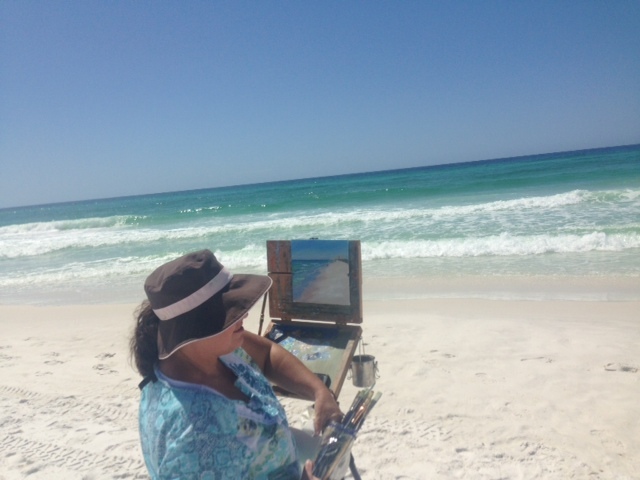 Henderson Beach is located near Destin which is a highly populated tourist destination. Needless to say, even on a weekday, this park is packed. It is located right on the beach, and the surf was really rolling on the day we visited. I fished the surf for just about 30 minutes, and could not take the pounding waves. It was a high surf watch warning day, (red flag) so it just was not a good surf fishing day. This entry was posted in Uncategorized on May 18, 2015 by shurstrike.